Prof. S. Chakraverty is having experience of 27 years as a researcher and teacher. Presently he is working in National Institute of Technology, Rourkela, Odisha as a full Professor of the Department of Mathematics. Prior to this he was with CSIR-Central Building Research Institute, Roorkee, India. After completing Graduation from St. Columba’s College (Ranchi University), his career started from University of Roorkee (Now, Indian Institute of Technology Roorkee) and did M. Sc. (Mathematics) & M. Phil. (Computer Applications) from there securing the First position in the university. Dr. Chakraverty received his Ph. D. from IIT Roorkee in 1992. There after he did his post-doctoral research at Institute of Sound and Vibration Research (ISVR), University of Southampton, U.K. and at the Faculty of Engineering and Computer Science, Concordia University, Canada. He was also a visiting professor at Concordia and McGill universities, Canada, during 1997-1999 and visiting professor of University of Johannesburg, South Africa during 2011-2014. He has authored 10 books (of which 2 are in press), published 251 research papers (till date) in journals and conferences. He is in the Editorial Boards of various International Journals, Book Series and Conferences. 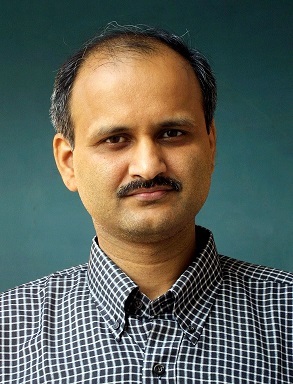 Dr. Chakraverty is the Chief Editor of International Journal of Fuzzy Computation and Modelling (IJFCM), Inderscience Publisher, Switzerland (http://www.inderscience.com/ijfcm) and happens to be the Guest Editor for other few journals. He is also the reviewer of around 50 national and international journals of repute and he was the President of the Section of Mathematical sciences (including Statistics) of Indian Science Congress (2015-2016) and was the Vice President – Orissa Mathematical Society (2011-2013). Dr. Chakraverty is recipient of few prestigious awards viz. Indian National Science Academy (INSA) nomination under International Collaboration/Bilateral Exchange Program (with Czech Republic), Platinum Jubilee ISCA Lecture Award (2014), CSIR Young Scientist (1997), BOYSCAST (DST), UCOST Young Scientist (2007, 2008), Golden Jubilee Director’s (CBRI) Award (2001), INSA International Biletral Exchange Award ([2010-11 (selected but could not undertake), 2015 (selected and availed)], Roorkee University gold Medals (1987, 1988) for first positions in M. Sc. And M. Phil. etc. He has already guided eleven (11) Ph. D. students and nine are ongoing. Dr. Chakraverty has undertaken around 16 research projects as Principle Investigator funded by international and national agencies totaling about Rs.1.5 crores. A good number of International and national Conferences, Workshops and Training programmes have also been organised by him. His present research area includes Soft Computing and Machine Intelligence, Artificial Neural Network, Fuzzy and Interval Computations, Numerical Analysis, Differential Equations, Mathematical Modeling, Uncertainty Modelling, Vibration and Inverse Vibration Problems.